On Tuesday, March 19th*, we held our monthly “Coffee with Your GADs” chat, where members join our Government Affairs Directors for an informal discussion about policy and politics impacting the real estate industry. This is an opportunity for members to learn about CAR’s current advocacy initiatives and share any news or trends of interest. *Coffee with Your GADs is typically held the first Tuesday of every month. 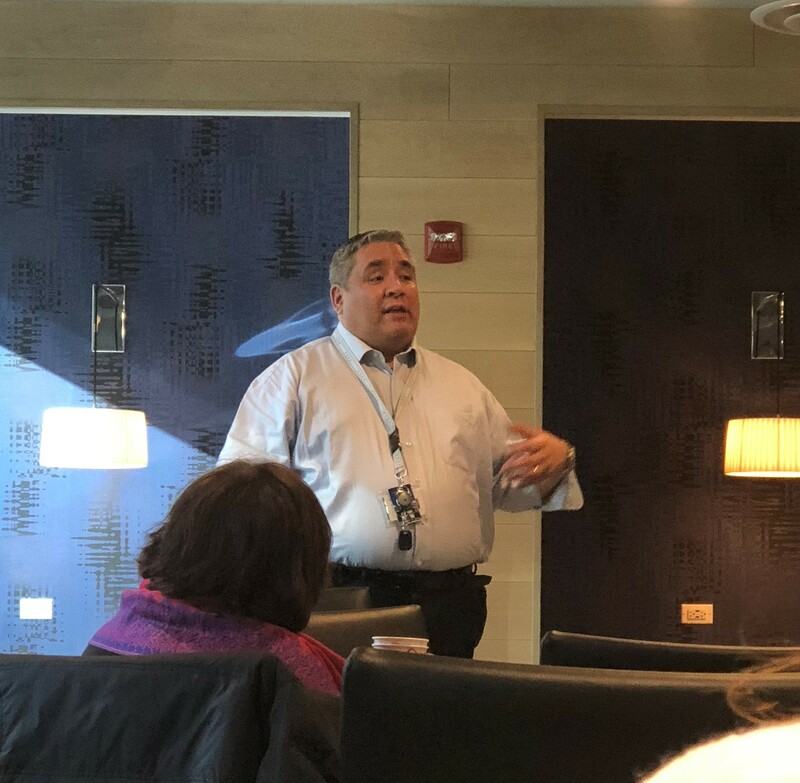 This month’s meeting was postponed so our Government Affairs Directors could participate in the Chicago Tribune and The Chicago Sun-Times editoral meetings on rent control, recapped below. Since 2017, the National Flood Insurance Program (NFIP) has only received short-term extensions and funding. The current extension expires on May 31, 2019, and CAR stands by the National Association of REALTORS® in fighting for permanent reauthorization for the NFIP. Last week, CAR past president Mabel Guzman, @properties, went before the House Financial Services Committee with a compelling testimony to fight for a long-term solution. Still, while Congress expressed an understanding for the importance of the program, no long-term solution has been put in place. Using data from MRED, CAR went before the U.S. Department of Housing and Urban Development (HUD) to express the need for an increase in conforming loan limits. At $360,100, the conforming loan limits have proven to be too low for families in the upper end of the market. Still, HUD has again denied the request for an increase. The issue is, we live in a large Metropolitan Statistical Area, which includes a wide range of home sales prices. This causes the median to be very low and makes it difficult to request an increase in the conforming loan limits. CAR is committed to strengthening our argument and presentation on the need for an increase. Bloomberg has renewed the idea that we should get rid of State and Local Tax (SALT) deductions throughout the country, even in high-tax states, arguing higher income earners should not have such large tax breaks. CAR, however, believes that SALT deductions should stay in place, as the removal of the deduction will hurt housing. Some states have tried to provide compensation and alternatives for the removal of the tax deduction benefit; however, no alternatives have been discussed in Illinois yet. In years past, CAR was the lead REALTOR® association in the country defending the need for SALT deductions by building a coalition of high-tax states who worked to preserve the deductions. CAR will monitor this issue and be vocal in our opposition to getting rid of the deductions. Following protests by rent control advocates, the Chicago Tribune and The Chicago Sun-Times invited CAR to attend editorial meetings to better understand our opposition to the preemption. Editorial meetings assist the editorial boards in developing and releasing their official stance on key issues. CAR director Sarah Ware, Ware Realty Group, and Government Affairs Director Brian Bernardoni went to the meetings, unsure of the publications’ stances. Afterwards, both major newspapers officially announced that they, too, oppose lifting the ban on rent control. This helps CAR better prepare and defend our rent control opposition when going to speak on the issue at the state and national levels. CAR has also earned support from groups such as the Chicago Building Trades Council and the Apartment Building Owners and Managers Association. Both groups have aligned with CAR’s opposition to lifting the rent control ban, believing that rent control would have negative impacts on the cost of building, use of services and price of condos. Hearings on rent control were held last week in General Assembly, but no votes were made. It is not getting the traction that rent control advocates are hoping it would. REALTORS® are encouraged to use AffordabilityForAll.com to educate your clients and download resources that dispel myths about rent control and provide evidence of the damage rent control would do in Chicago. CAR and the Illinois REALTORS® are taking an opposition position to the assessor’s tax reform package. The Illinois REALTORS® will meet with the assessor in Springfield and Chicago to call for modifications. One concern, for example, is that buildings under six units will be exempt. CAR and other groups have been fighting for the use of English basements in these six-unit buildings, as they could serve as affordable housing units for veterans, seniors and those with disabilities. Owners will be hesitant to allow their property to have over six units, because they’ll no longer get the exemption that comes with the new tax reform package. Another issue is that for multi-unit buildings assessed over $100,000 and commercial buildings assessed over $450,000, the property tax assessment could increase. This is worrisome because it could encourage owners, particularly in the west and south suburbs, to take their businesses to other municipalities and states. CAR is looking for Chicago REALTORS® who are willing to speak with state legislators about key issues. Please contact Brian Bernardoni if you are interested in representing CAR at the state level. Even if you choose not to be a state legislative contact, you can still be involved. 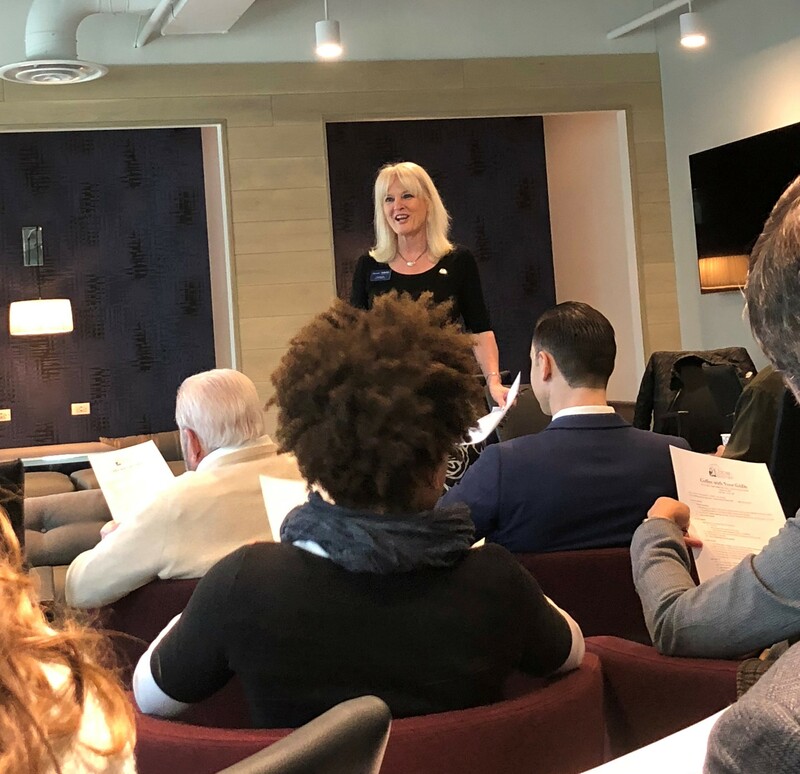 Gail Spreen, chair of the Public Policy Coordinating Committee and broker at Jameson Sotheby’s International Realty, encourages REALTORS® to attend REALTOR® Lobby Day/Capitol Conference (CapCon) on April 30th. This allows you to join hundreds of members in advancing the REALTOR® agenda with Chicago legislators in Springfield. Ensure that the REALTOR® community is well represented on this designated REALTOR® day. Limited transportation is available. The government has plans to make it easier for Chicagoans to participate in the federal opportunity zone program. However, those plans have not yet been carried out. Presently, Chicago is not the most attractive place to invest in opportunity zones. The incoming mayor will be asked to make opportunity zones a priority through activities like fast-tracking permitting, so local investors can take advantage of available opportunity zones in a timely fashion. Earlier this month, the Financial Committee announced another transfer tax increase proposal to address the issues of police and fire pensions, lead pipes and homelessness in Chicago. The proposal called for a 161 percent increase in transfer taxes for real estate sales over $1 million. CAR has previously used legislative maneuvers to block increases of transfer taxes, as these are not sustainable sources of revenue. After giving testimony last week, CAR successfully blocked the fifth transfer tax increase proposal, keeping it off the November ballot. This is a huge win for CAR and Chicago as a whole. CAR sits on the committee for building code reform. As a result of the committee’s work, the building code will soon be updated and re-introduced. The changes are largely risk-based (e.g., seismic waves/earthquakes, fire life safety) and can start being made voluntarily in summer 2019, with full enforcement in summer 2020. “For a city that wants affordable housing and needs density to deal with tax problems, we keep making it harder to build,” Chicago Association of Realtors Government Affairs Director Brian Bernardoni said. Ultimately, CAR is fighting for a building code that aligns with the International Building Code. We continue to advocate for reform that encourages affordable housing development, including tiny houses, modular building construction and increased flexibility in the materials used. In the new code, we were able to secure legislation for lower ceilings for English basements, which will open up opportunities for affordable units. However, more code reform is needed to make affordable housing solutions a reality. For years, the state fire marshal has tried to set standards for sprinkler systems, with pushback from the City of Chicago. The governor has reappointed the existing state fire marshal and has made it so the fire marshal’s jurisdiction no longer includes Chicago. Chicago will now set its own standards for sprinklers, as long as it’s interpreted that Chicago’s standards meet and exceed the state fire marshal’s ultimate goals. CAR and the City of Chicago maintain a good relationship with the state fire marshal and all are aligned in this new approach. Alienage is discrimination on the basis of immigration status. There’s a proposal to have alienage added as a protected class. To prevent third parties from suing retroactively, the Illinois REALTORS® and the Chicagoland Apartment Association took a neutral stance and negotiated a deal. The issue is stalled right now. All legislation that is not passed by the last council meeting will ultimately be rejected. Both mayoral candidates are seeking to change aldermanic prerogative. CAR is monitoring this closely. The City of Chicago’s financial situation is dire. Chicago REALTORS® are encouraged to visit the Civic Federation’s webpage to review the financial challenges for the mayor and outline different options for revenue-generating solutions. Link up [with other businesses]. Be sure to register for the next Coffee with Your GADs meeting on April 2nd.